CGI Americas, based in Santa Ana, CA, US is introducing the QMO Series inert gas and vacuum ovens and MOL Series Class 100 cleanroom ovens. C Sun manufactures the ovens in Taiwan. 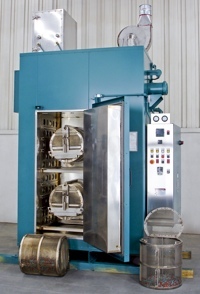 The QMO Series inert gas and vacuum ovens and MOL Series cleanroom ovens are used in semiconductor manufacturing, IC packaging, and component manufacturing, as well as aerospace and medical manufacturing. C Sun’s QMO Series inert gas ovens are used for oxygen free curing using CO2 or N2 gases to prevent oxidation in semiconductor fabrication, IC packaging, hybrid circuit manufacturing, optical coatings, and a wide range of other applications. 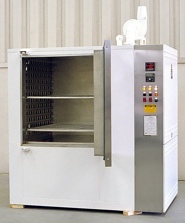 The MOL series Class 100 cleanroom ovens are said to be among the most popular systems used globally. C Sun is one of Taiwan’s largest manufacturers of equipment for semiconductor, FPD, printed circuit fabrication, and other industries. The firm has over 50 years of experience and more than 1,200 employees.